"He's on a workable mark at the moment, and is fancied to return to winning ways at a track where he has run well at in the past." 14:20 - GOODTHYNEAWAY (3) failed to complete on his first chasing start at Catterick in February, but he took a big step forward from that to get off the mark over C&D last month, belying market weakness to score by four and a half lengths. He was value for extra, too, considering that he was prominent from an early stage and idled late on, and an 8 lb higher mark looks unlikely to stop him considering that there should be more to come from him yet. Well Smitten has struggled in three starts since scoring at Huntingdon on Boxing Day, but would be a threat if back to his best now just 2 lb higher than his last winning mark. 14:50 - HATCHER (1) looked at least a good a chaser as he was over hurdles (useful performer) when making a winning start in this sphere at Leicester last month, looking sure to improve from it for all that it was a simple task, and considering the enthusiasm he went with that day, he can build on that by following up here. The Nicky Henderson-trained Style de Garde can be difficult to catch right, but is a big threat if on a going day on the best of his form. 15:20 - While GLOBAL DREAM (1) hasn't tasted success for over two years now, he hasn't stood too much racing since his last success, and he has been in good form of late, placing at Warwick the last twice. He's on a workable mark at the moment, and is fancied to return to winning ways at a track where he has run well at in the past. The improving Lord Getaway is a big threat if continuing his progression over fences, while Hepijeu is another to consider in an open heat. 15:50 - MONSIEUR GIBRALTAR (1) made a winning start in this sphere in good style for the David Maxwell operation at Wincanton in February, giving the impression that all of his ability remains intact. He should continue to run well in similar events, and is a confident selection to follow up. Both Stellar Notion and Delegate arrive here with something to prove, but would be dangers if returning to anything near their best. 16:20 - MERCER'S TROOP (14) showed improved form to get off the mark over hurdles at Uttoxeter in February, taking advantage of a drop in the weights to edge ahead in the final 100 yards, scoring by less than two lengths. He's been raised 5 lb for that, which looks more than manageable, and he looks worth siding with to follow up here in what doesn't look the strongest of contests. 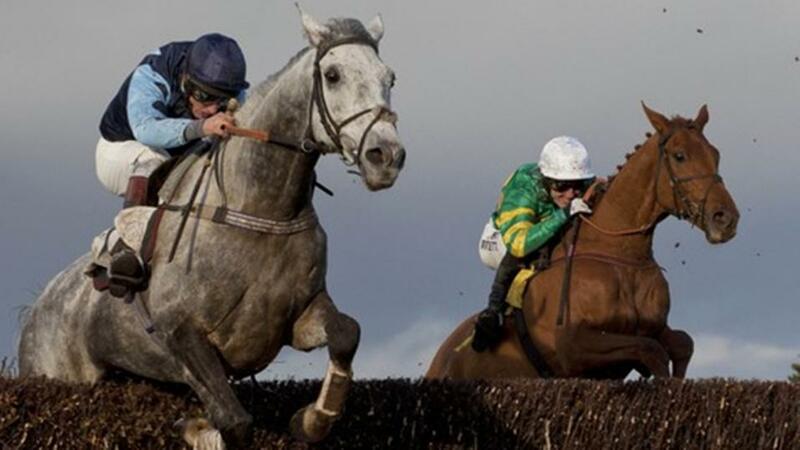 Irish-raider Monty's Angel and recent Market Rasen scorer Oscar Nomination are also shortlisted. 16:50 - NACHI FALLS (5) turned in his best effort of the season when finishing second at Taunton 5 days ago, going like the best horse in the weights and making his effort earlier than ideal having tanked along. Provided he can handle the quick turnaround, he's fancied to score off the same mark as last time. Handicapping debutants Blue N Yellow and Cardigan Bay are the biggest dangers. 17:25 - A difficult race to solve considering so many of these are making their debuts this afternoon, but it could be worth siding with the newcomer, BEAUTIFUL DRAMA (2), who makes some appeal on paper (half-sister to bumper winner/useful hurdler Stowaway Magic) and represents a yard which has an excellent record with runners in Britain. Henrietta Belle has shown fair form in two starts so far and is the best of those with experience, ahead of Lunar Baby.